Of the eleven children in my twice great grandfather’s family, eight of them immigrated to the United States. Also, one grandchild and after Diedrich Förtmeier’s death, so did his wife, Ilsa Dorothea Georges, my twice great grandmother. Dorothea and Emma arrived in New Orleans in 1851 on the Olbers. 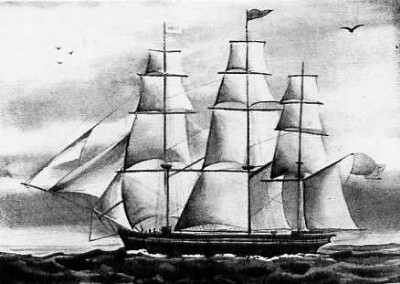 Carl and Bertha arrived in 1856 on the President Smidt. 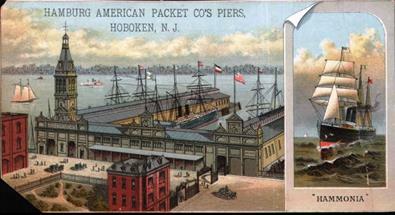 Adolph, Doris, Georg, and Louis arrived 1861 on the Hammonia. What's this mean? George was born to Dorothea in 1850. In 1851 Dorothea went to America without her baby Georg. She must have left him with Doris (his grandmother) to raise. Strange... When Georg did come in 1861 Dorothea was already married to Johann Pfannmoeller (1855) and living in Louisville. Emma, who had traveled with her, married Stephan Wagner in 1860. The 1870 census shows Georg living with Louis and Emil Mente in Emma's home in Cincinnati. Georg was now 20. Georg died in 1877 from TB after his wife gave birth to Lillian Foertmeyer in 1876. We can surmise then that he married between 1870 and 1876. Prior to 1864 Georg probably stayed with his grandmother Doris. She passed in 1864. This begs the question, why wasn't he reunited with his mother in Louisville?